Bharan is using Smore newsletters to spread the word online. Pain crises constitute the most distinguishing clinical feature of sickle cell disease and are the leading cause of emergency department visits and hospitalizations for affected patients. November 1910, Dr. James Herrick made the first description in published literature of the sickle cell disease.A blood test can check for hemoglobin S — the defective form of hemoglobin that underlies sickle cell anemia. In the United States, this blood test is part of routine newborn screening done at the hospital. Red Blood Cells are misshaped and break down. How does someone get Sickle Cell? Sickle cell is inherited.Sickle cell disease is an inherited condition. Two genes for the sickle hemoglobin must be inherited from one's parents in order to have the disease. 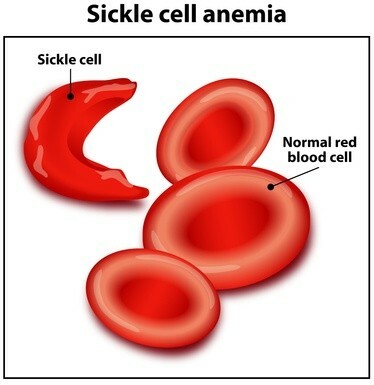 A person who receives a gene for sickle cell disease from one parent and a normal gene from the other has a condition called sickle cell trait. There is no cure for Sickle Cell although some treatments may help. Treatments include blood transfusions and medication. Infections , Pain, and fatigue are symptoms.